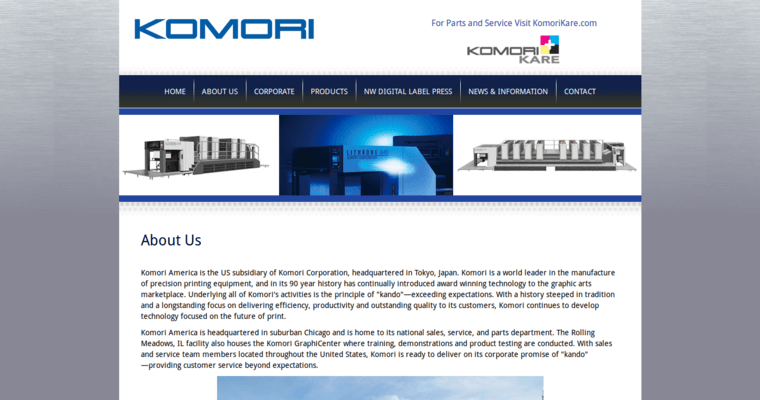 The Komori America Corporation is an award winning print firm headquartered in Chicago, IL. A US subsidiary of the Komori Corporation in Tokyo, Japan, Komori America prides itself on exceeding the expectations of its customers. The company has a 90 year history in the graphic arts marketplace, and has often been recognized for its dedication, efficiency, and high quality work. 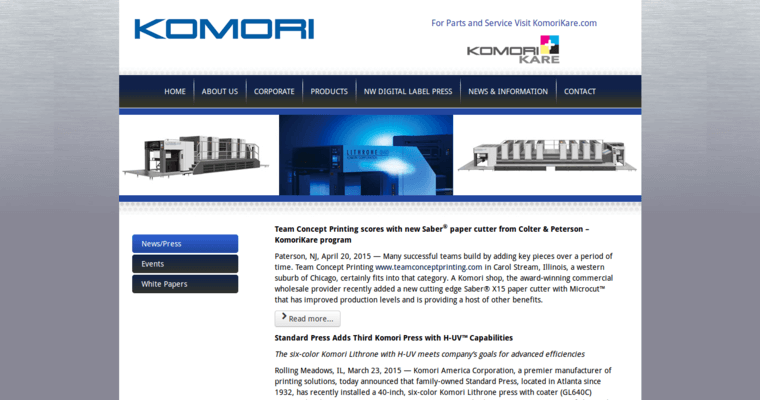 With each satisfied customer, Komori America continues to advance the future of the print industry. Komori America has an extensive team located all over the United States, ready to deliver exceptional products to customers all over the country. They are widely recognized as having one of the most skilled teams in the print industry, and a technical specialist is always available for support should any assistance be required. 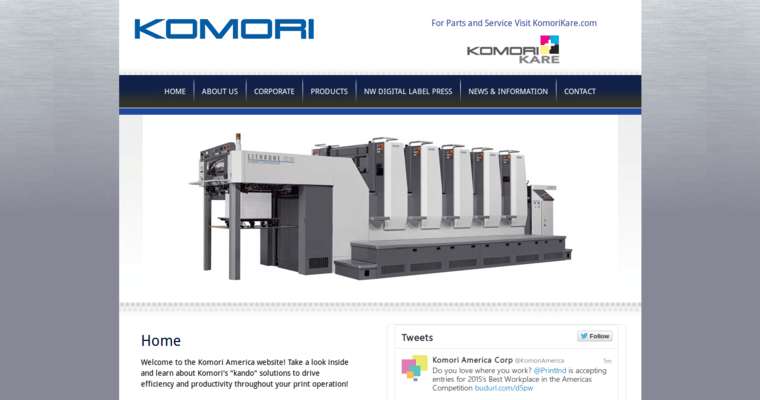 Above all, Komori America does its best to deliver customer service that goes above and beyond.